Easts Tigers community are saddened to hear of the passing of former Tiger great John Payne. Payne played his junior football with Brisbane Wests before making his first grade debut with the Valley Diehards in 1968. Payne later played in the NSWRL competition, representing the North Sydney Bears, the Parramatta Eels and the Manly Warringah Sea Eagles. In 1975 Payne returned to Brisbane and signed with the Tigers, playing at Langlands Park until 1977. He was a member of the 1976 grand final side. 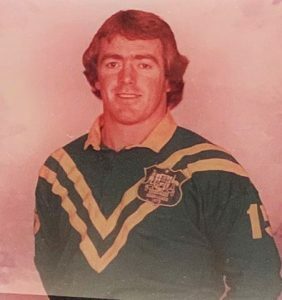 Payne signed with the Norths Devils in 1978 where he finished his playing career. A very destructive player, Payne could tear the opposition to shreds with his attack and brutal defence. Payne represented both Queensland and Australia in 1976. Payne later coached in the Brisbane Rugby League competition, including reserve grade at both the Easts Tigers and Wynnum Manly Seagulls, before coaching first grade at Souths Magpies. Payney will be sorely missed.